You might think getting into a model that can meet all the needs of your life is a difficult task, but the 2019 Honda Passport might just be the answer you have been looking for. You might not be familiar with this Honda model yet, but that isn't so surprising since it is a brand-new model in the new Honda lineup. We are here to help you see how the 2019 Honda Passport is equipped to make every drive more enjoyable. The most important tech in a vehicle is what can keep you feeling confident on busy or confusing highways. The 2019 Honda Passport comes standard with the Honda Sensing system of driver assistance features to help you be confident on any road, knowing there are systems that are looking out for you. This system bundles several innovative safety features like Road Departure Mitigation and Lane Keeping Assist for your peace of mind. No matter if you are looking to go on a road trip or if you are just commuting to work, the 2019 Honda Passport comes with the features to keep you and your passengers comfortable for the whole time. Gone are the days of passengers asking you to adjust the temperature for their personal preference thanks to the standard Tri-Zone Automatic Climate Control system. Also matching personal preferences is the memory function driver's seat that can store two presets for the seat and mirrors to make your role swap with the navigator easy. 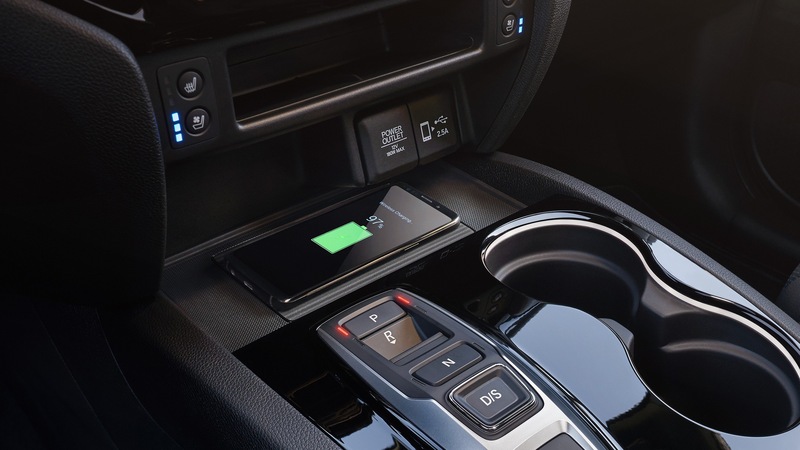 If you like to connect your smartphone to your car, you'll love the 2019 Honda Passport! This SUV comes with Apple CarPlay and Android Auto to make that connection simple and to help you get all the music and apps that you might be looking for. You don't need to worry about your phone dying when you include the available wireless charging dock. The 2019 Honda Passport offers so much more than just these features, and our team is excited to show you it all. All you need to do is visit our dealership in Charleston so that we can get you started!